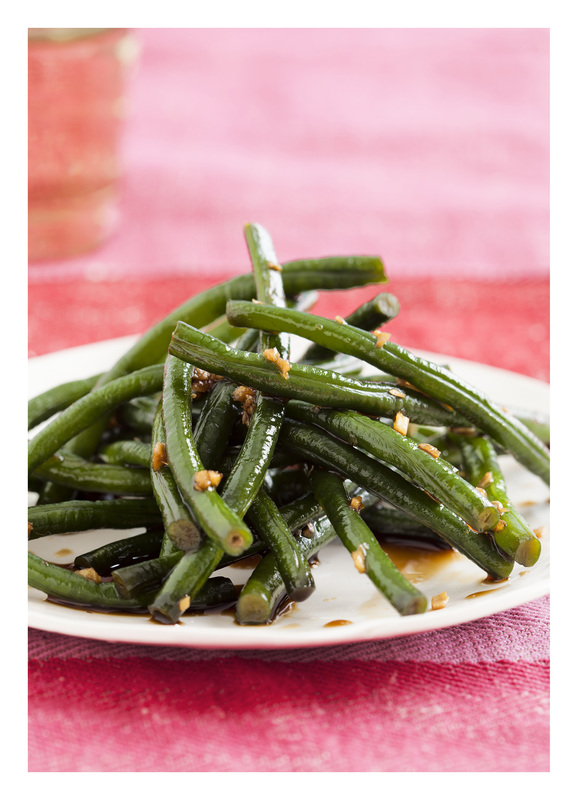 It could be that long beans – the long and skinny green beans found in Asian markets – are not available near you, and that’s totally fine: straight-up skinny green beans make a fine substitute. However, if you can find long beans, they’re a lot of fun in this pickle, with their lighter texture and fresh snap. These preserved beans are in more of a marinade than a brine; thus, instead of a canning jar, I suggest you make them in a shallow, flat food storage container where the beans can lay in a single layer. Snack on these like potato chips, or chop them and either toss with beef or shrimp in a stir-fry or stir into congee. Trim the beans, discarding the ends, and chop into 4-inch lengths. If you’re using green beans instead of long beans, be sure to cut off both ends of the beans (don’t just snap the stem) to allow the flavors to penetrate. Lay the beans in a single layer in a flat, shallow dish. Cover them with the salt and let them sit for 2 hours, rolling them occasionally. Rinse the beans, discarding any extra salt or residual liquid, and pat them dry with a clean kitchen towel. Mince the ginger and finely mince the garlic (or press it in a garlic press) and combine them with the sugar and soy sauce in the bottom of a clean, shallow container with a tight-fitting lid. Add the beans and toss them well to coat. Cover and refrigerate for 24 hours. Your beans are now ready to eat, though you should stir them before eating. Kept covered, they will keep at least 3 weeks. This recipe is from Asian Pickles China.